Explore the latest mirror work sarees and blouse designs by Arpita Mehta and shop her collection online (HERE) or get them designed from your local boutiques. Plum color net saree embellished with mirrors paired with contrast blue raw silk zardosi and mirror embroidered choli. Yellow georgette saree with mirror embellished borders paired with gold elbow length sleeves mirror and cut work blouse featuring cut out back neck. Gold bead and mirror embellished blouse featuring deep V-shaped back neck. White lehenga paired with beige net mirror work choli. Rani pink georgette saree with pearl and mirror work border paired with contrast blue spaghetti strap mirror and cut work blouse. 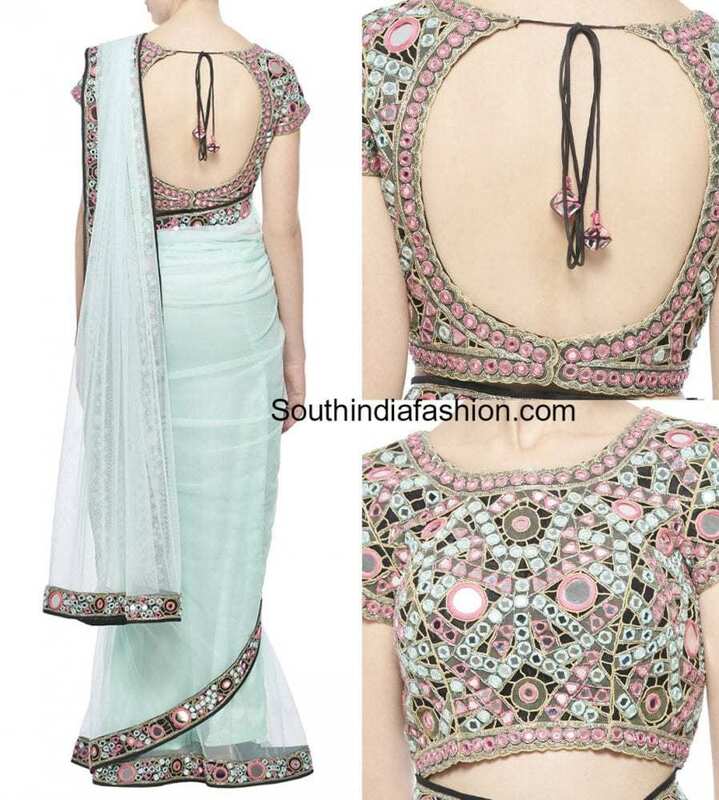 Powder blue net saree enhanced with mirror embroidered border paired with black raw silk mirror work blouse that has round cut out back neck. Fuschia pink georegtte saree featuring gold embellishments on the border paired with gold cut work mirror embroidered blouse. Rani pink net saree enhanced with black mirror embroidered border paired with black and silver mirror work blouse. 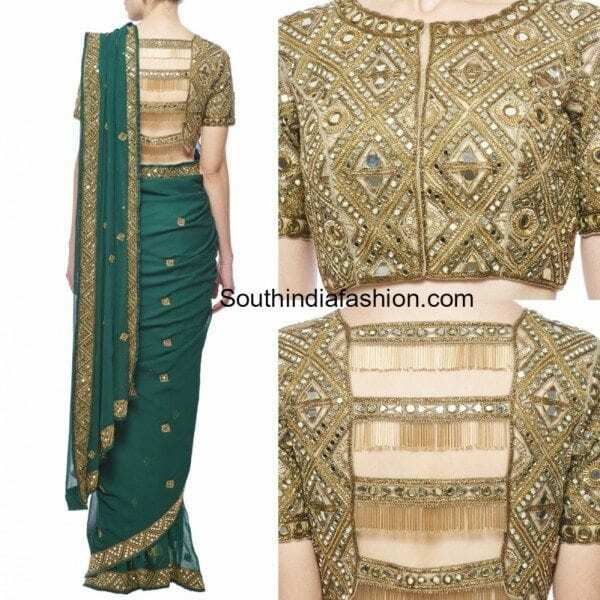 Emerald green georgette saree featuring gold mirror embroiderd border paired with gold mirror work blouse that has an interesting back neck design. 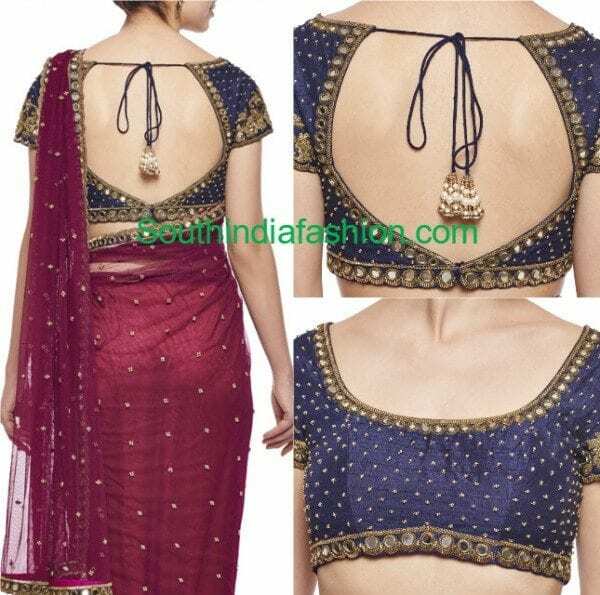 Where do I order/buy these sarees & blouses from?? How can I order to these sarees?? How to order for yellow mirror work saree with the blouse?